Home > Drive > Advice and guides > Know how > Help! My car won’t start, what do I do? Help! My car won’t start, what do I do? One of the quickest ways to derail your day is your car not starting. We’ve all been there — you get behind the wheel, turn the key and… nothing. But what’s causing your car to fail on you? And is there anything you can do to get your vehicle going again? To help give you some insight, we’ve put together a quick guide on everything you need to know for when your car won’t start. Broken down? Not covered? Get instant breakdown cover. Call our hotline on 0333 2000 999 and speak to one of our operators who will be able to set you up on any one of our breakdown cover policies immediately. Can you charge a flat battery? What do I do if my car won’t start? Can you call the RAC out without breakdown cover? There are a number of different reasons your car won’t start, from being out of fuel, to more complex issues like a fault with its electronics. But some things are more common than others. Here’s a rundown of some of the more typical reasons your car won’t start. 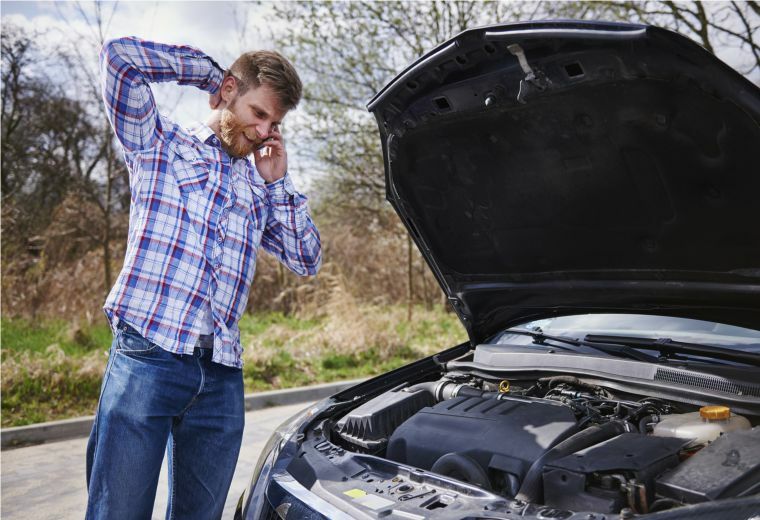 A flat battery is the most common reason your car won’t start and can be caused by a number of things, such as lights being left on, something in the electrical system causing a battery drain, or even a faulty battery that won’t hold its charge. As well as your car not starting, a flat battery will usually stop your vehicle’s electrics working properly, meaning no power for lights, the radio or charging your mobile phone. If you have a flat battery, you might be able to jump start your car using jump leads and a second vehicle with a fully-charged battery. Check out our guide on how to jump start a car in 10 steps. If the problem keeps occurring, you need to get the battery and charging system properly tested by a professional at a garage. 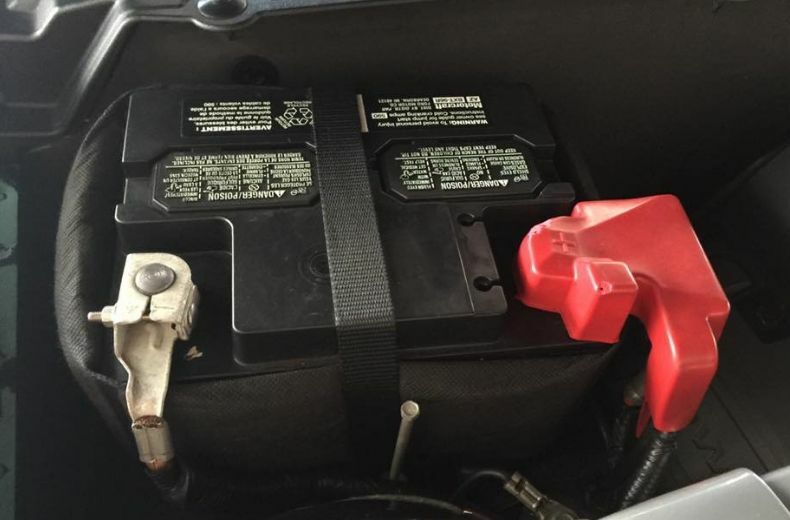 A car battery will recharge to some extent while driving, however you’ll need to drive for at least 30 minutes after a jump start to allow it to recharge sufficiently for the next time you start the engine. This drive cycle should ideally be in traffic-free conditions without lots of battery-hungry systems on such as headlights and heating. If you're in a dark, cold layby and using these comforts can't be avoided: don’t worry, it will just take a little longer to recharge the battery. To charge the battery fully, a dedicated battery charger should be used to bring the battery back to its peak capacity, which usually involves several hours or overnight on the charger. There are also products known as Battery Conditioners, which provide a small trickle charge to the battery and are especially useful where the vehicle is used infrequently, or parked up for long periods. It might sound obvious, but if your car won’t start it could just be out of fuel. It’s surprisingly easy to forget to fill up your tank so if you’ve been running on fumes then dig out your fuel can and walk to your local petrol station for a top up. If you think your fuel gauge is broken, you might need to check your car into your local garage and have it looked at — otherwise you could end up being surprised by an empty fuel tank more often than you’d like. If your car won't start because you can’t turn the ignition key, the steering lock may be jammed. This is often caused by a front tyre on one side of the vehicle stuck hard up against a kerb. To free it off, simply turn the wheel slightly from side to side whilst carefully turning the key back and forth at the same time until the lock frees off. If you cannot move the wheel, put your foot on the brake and carefully release the handbrake and allow the vehicle to slightly roll away from the kerb, then reapply the handbrake and retry. Caution: only do this when safe to do so – do not attempt if you are parked on a steep incline. It’s also possible that the starter motor itself is at fault. This is the electrical motor connected to your car’s battery that sets the engine in motion when you turn the ignition. If the battery is fully charged, but you hear a loud clicking noise when you try to start the engine, then this is a typical symptom of a faulty starter and / or an electrical wiring fault which will require inspection and diagnosis to repair. 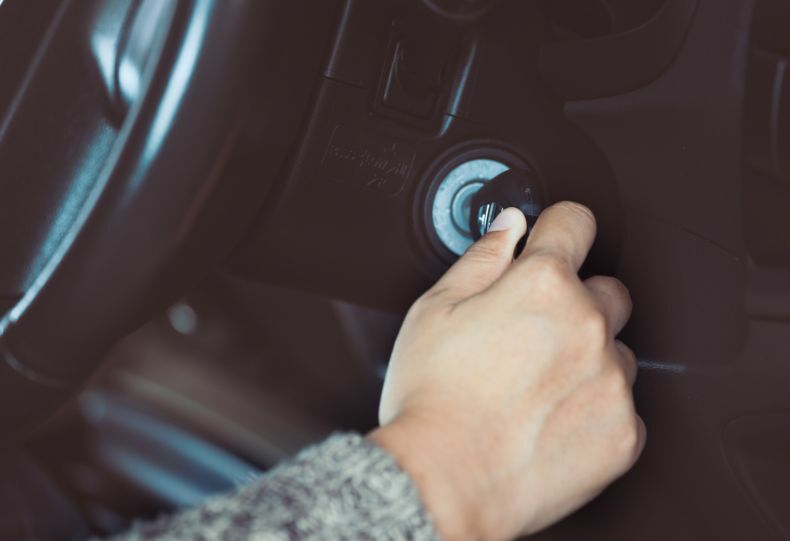 Sometimes, it’s your car’s own security system that stops the engine from starting – if the immobiliser fails to recognise your key, then your engine won’t start at all. This may be a flat battery in the key fob which weakens the signal from the fob to the system. A tell-tale indicator of this is often when the central locking will not operate either. Try replacing the battery. If battery replacement isn't practical, try holding the fob up against the start button and pressing the start button at the same time. If there is no start button on your model, try holding the fob very close to the ignition switch whilst you turn the key. If available, try a spare key, but if your engine fails to recognise that too, you may be able to reprogram it manually – check your handbook for details. Failing that, you may need to contact your dealer for assistance. Flooding your car’s engine is a no longer a common occurrence, due to the fuel injection systems now fitted to all modern vehicle types. A flooded engine means there’s too much fuel and not enough air in your engine. It usually occurs with cold engines when you move your vehicle just a few metres, switch the engine off, then try to start it again. Moving it into or out of a garage or a short ways down the road to get to your preferred parking spot, for example. If you think it might be flooded, try pressing the accelerator pedal to the floor while you briefly try and start the engine for a few seconds. Do not try and start for more than a few seconds as you risk flattening the battery or damaging the starter motor. Once it starts, allow it to idle for a few minutes – do not leave unattended. A clogged fuel filter means the petrol or diesel can’t reach the engine which, unsurprisingly, means your engine won’t be able to burn the fuel it needs to start. 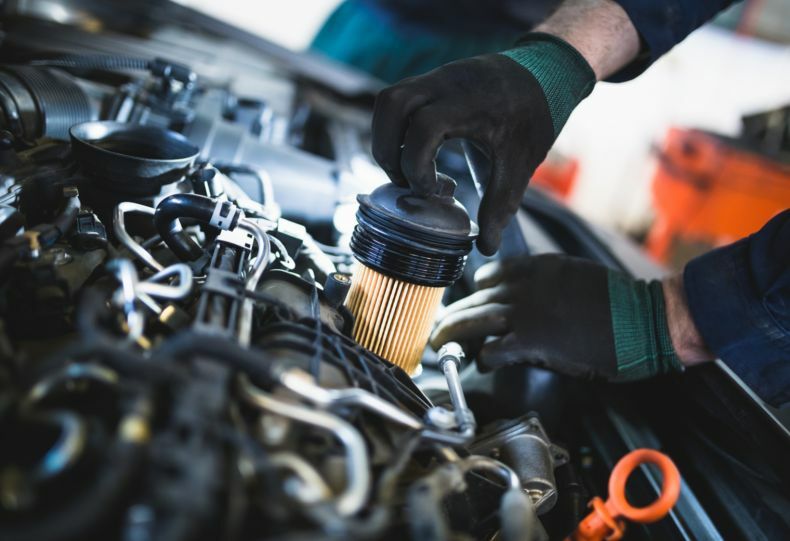 It will not be obvious if your fuel filter is blocked, but as a rule of thumb they should be changed every 15,000-20,000 miles so make sure you prevent this becoming an issue by getting the filter changed at the appropriate service times – consult your vehicle handbook for more information. Depending on the reasons behind your car failing to start or turn over, you may be able to fix the issue yourself or with the help of a fellow driver. However, some issues aren’t quite so easy to fix, including those not on this list such as such as faulty components, electronics, mechanical failure - so for complete peace of mind consider RAC breakdown cover that includes home start assistance. If it’s a reoccurring issue, you might want to use the RAC Approved Garage Network to find a local garage that’s guaranteed to provide quality work and exceptional customer service, giving you complete peace of mind. And just in case the worst should happen out on the roads, make sure you have the correct breakdown cover in place. Yes. If your car breaks down but you don’t have breakdown cover, you can still call the RAC for breakdown assistance. Call our hotline on 0333 2000 999 and speak to one of our operators who will be able to set you up on any one of our breakdown cover policies immediately. Please note that for the first 24 hours of your policy you will be put on our Roadside Assistance Only policy.